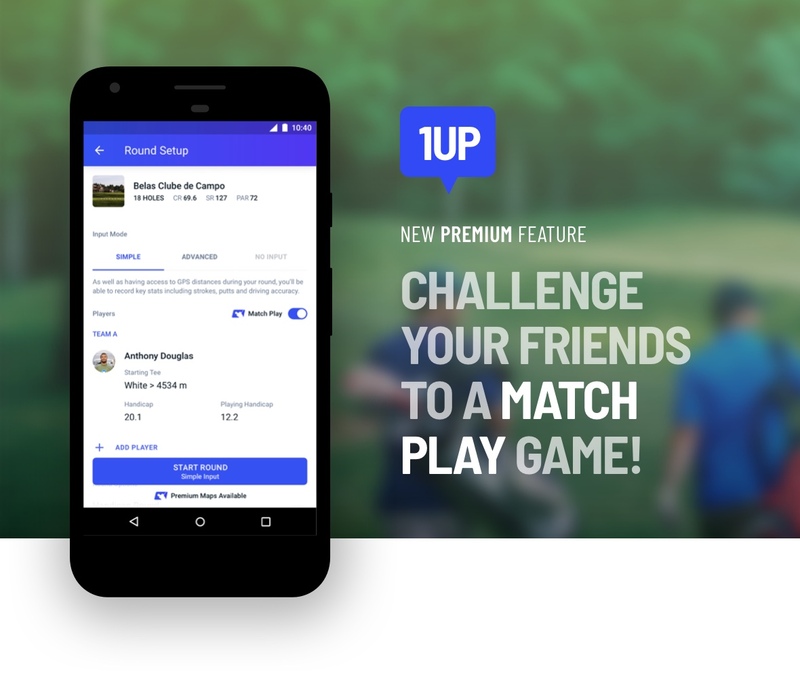 Match Play Premium Feature - Now Available on Android! 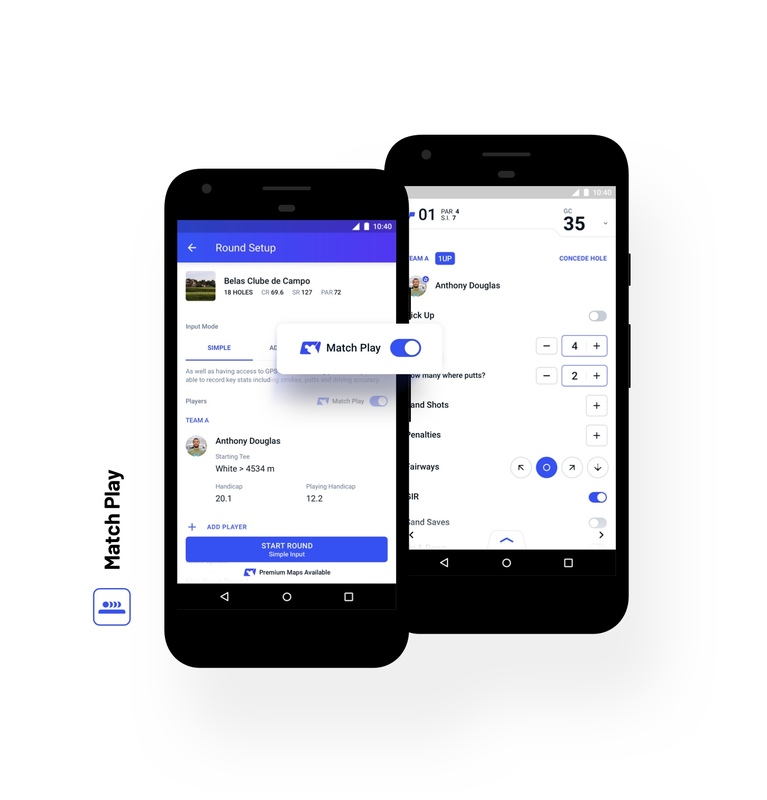 Last month, we were excited to bring great news to our iOS golfers and now here's the update you've been waiting for too… Hole19’s newest feature 'Match Play' is now available for Android! Available to all Premium Hole19ers, the new feature will allow you to challenge your friends and compete against each other hole-by-hole! Ready to play some competitive golf? Go gather your golfing buds because now's the time to grab your Hole19 app and pit your golfing wits against one another in a ding-dong Match Play battle for the ages! If you’re not Premium yet, get your 30-day free trial here and instant access to a whole raft of game-enhancing features is at your fingertips. Match Play is a scoring system in which players or teams compete against each other hole-by-hole. Golfers are awarded points when they win a hole. To win a hole you must have scored a least one shot less than your opponent/opponents. The team who wins the most holes wins the match. Starting a Match Play round is really easy. The first step, once you have selected the golf course, is to start a round and turn on the Match Play option on the Round Setup screen. Next, add your playing partner(s) from your buddy screen and all golfers will be organised into teams depending on the number of participants: 2, 3 or 4. We know you'll be eager to try this new feature so you won’t want to miss our Black Friday Offer: Get a 50% discount on a 1-year Premium Subscription! 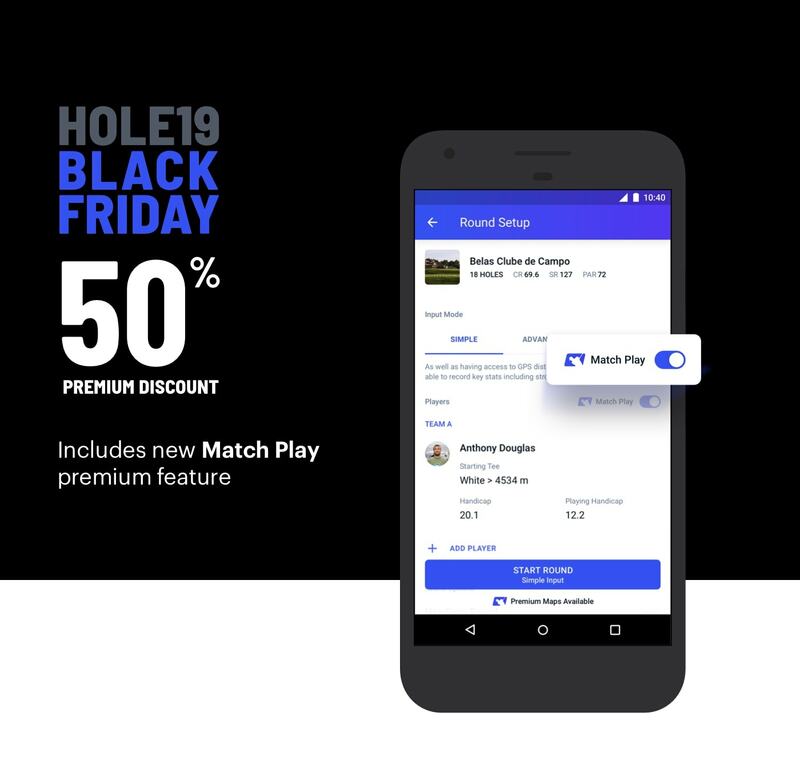 Use code BFRIDAY18 (on the Hole19 Website) and get access to Match Play and all of our other game-enhancing premium features! NOTE: BFRIDAY18 promo code can be redeemed via the Hole19 Website only.